New Impression Obsession Challenge I Sea You! New Impression Obsession Challenge - Foodie Fun! Send a Little Humor Challenge Winner! 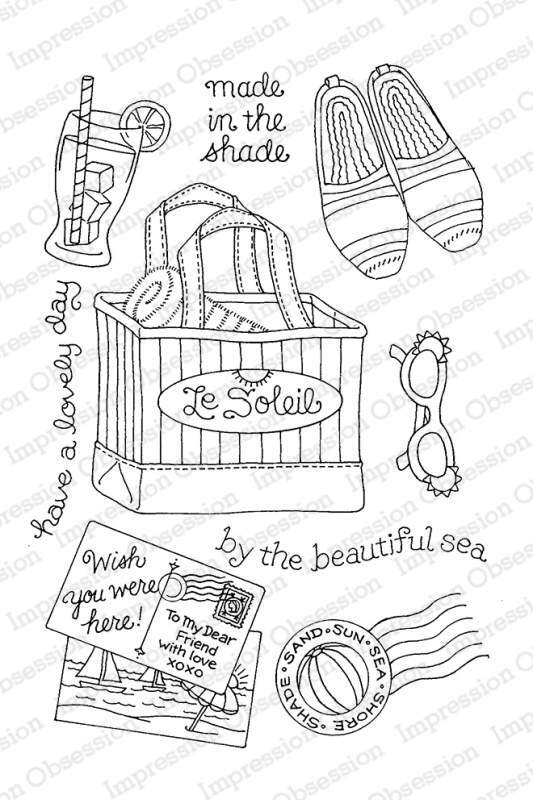 Impression Obsession Meet the Illustrator - Peggy Jo Ackley of Pink Ink Stamps! Today's featured Designer is Laura Fulcher! This Challenge will be open until Tuesday, July 3rd at 7 p.m.Central Time. Winner will be announced July 4th. Thank you to everyone who entered our Foodie Fun Challenge! Check out Linda's sweet bookmark! This Challenge will be open until Tuesday, June 19th at 7 p.m.Central Time. Winner will be announced June 20th. Thank you to everyone who entered our Send a Little Humor Challenge! 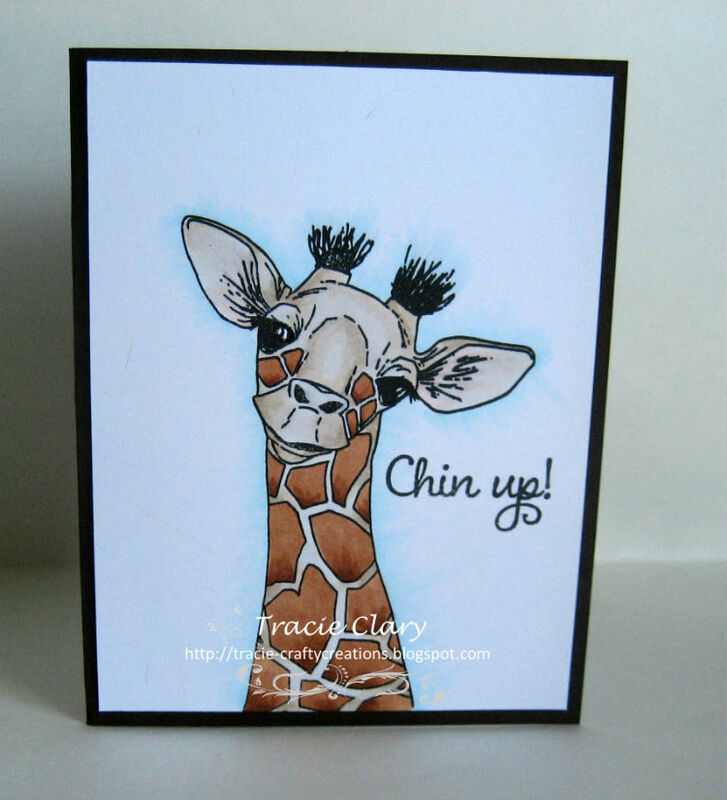 Check out Tracie's cute card! 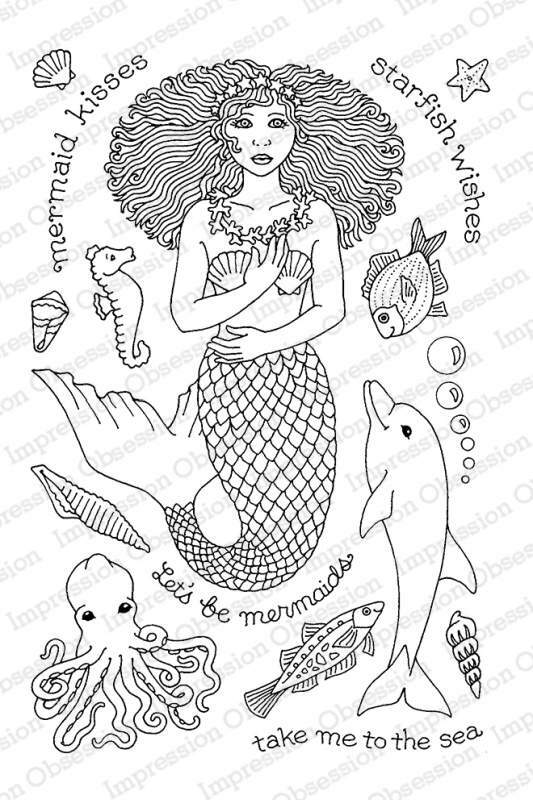 Hello there~ I am thrilled to be illustrating clear stamp sets for Impression Obsession! After several years of designing wood stamps for my company Pink Ink, it’s been really fun to draw coordinating groups of images and verses that can be combined in creative ways. I also love the fact that many of my sets for Impression Obsession have matching dies for even more options. I’ve been an illustrator and product designer for many years. Some of you may be familiar with the 100+ Bitty Bear books I illustrated for American Girl over 15 years. I began my career as a greeting card artist and expanded into other stationery and paper products, then gifts and home furnishings. I’ve always had a soft spot for hand crafting and jumped at the chance to design rubber stamps and teach colored pencil skill classes throughout the country for both Pink Ink and Impression Obsession. I love to share what I’ve learned and so created a series of coloring skill videos to teach shading, highlighting, and embossing techniques for any stamp. They can be viewed on YouTube at “Pink Ink Classroom”. From automobiles to orchids, almost any subject can be enhanced with coloring! On a personal note, I grew up in Northern California and after youthful stints in New York City and Chicago, I returned to this beautiful area and have been here ever since. I live in Petaluma, a small town halfway between San Francisco and the Napa/Sonoma wine country. My husband Fred and I live on the edge of town – not too far from the cow pastures, deer and wild turkeys! I love watching the birds and squirrels cavort between the trees outside my studio windows. Like many artists, I enjoy listening to music while I work. I’m pretty eclectic, but my favorites of late are jazz piano and “great American songbook” singers (with some Aretha Franklin thrown in). A few artist favorites are Johannes Vermeer, Eduard Vuillard, Edgar Degas, Joseph Cornell, Wayne Thiebaud, illustrators Kay Knight, E. H. Shephard, J. C. Leyendecker and my childhood favorite, Garth Williams (Charlotte’s Web). Like most all artists I know, I have a few quirks ~ I wear my “temple bell” earrings from India for luck, have a huge collection of scarves (long, not square), a small collection of odd ball pink Depression glass, am crazy for beagles (and getting them out of labs!) an aversion to animals without arms & legs (ie. snakes, worms and eels) a fondness for old maps, pretty postage stamps, color wheels and all things coconut! I hope you enjoy my IO Pink Ink stamp sets now that you know a little bit about the person who created them. 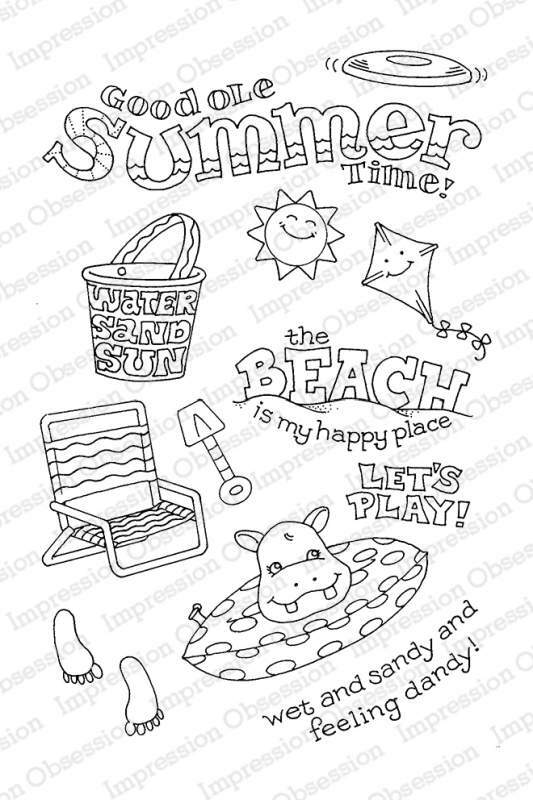 Stamp, color, cut, embellish – but most of all, have fun! I added “starfish earrings” to my mermaid and shells to my verse, colored all with Prismacolor colored pencils, then cut out the image and centered it on a horizontal striped “wave” background made of aqua green paper scraps. For the dolphin and fish, I shaded and the dolphin with a soft gray, then color coordinated my two fish with blues and yellows. The group was cut out in an oval shape, bordered with pinked edge blue paper and then embellished with a sheer striped ribbon. 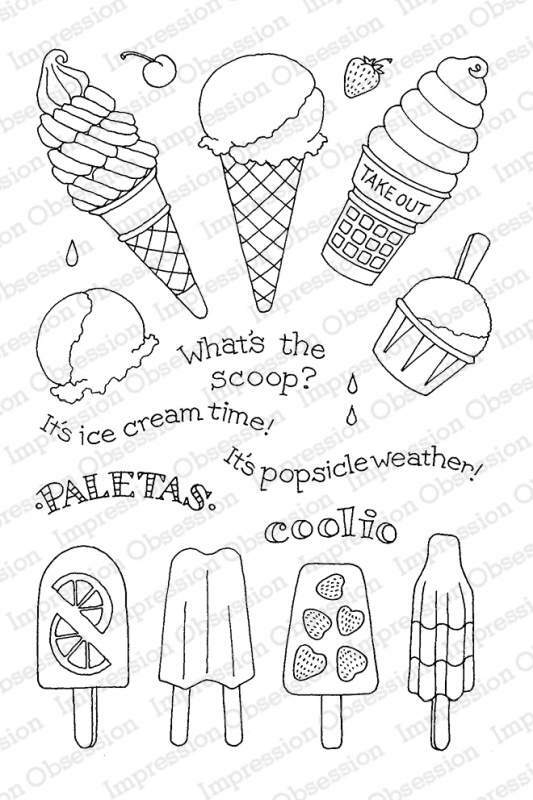 I colored multiple images of the various popsicles to create a “rainbow” color effect, making sure to leave some white highlights! Then I used a cute color coordinated tutti-fruitti paper I had and added orange and lime twine bows. For the cones I shaded a luscious strawberry twist, raised up my pistachio (or mint?) scoop with foam tape and gave lots of creamy shading to the “Take Out” cone. A pretty combo with pink polka dots and scalloped edges! I used the same combination of stamp art here, experimenting with two different color ways (so easy to do with rubber stamped art!). I love coloring lettering with 2 or 3 blended colors to add more interest, a technique that works great on the large word “Summer”. Which is your favorite – the pink hippo or aqua hippo? The key on these two versions was to coordinate the colors with an existing printed scrapbook paper – something I often advise my students to do. The same art can look quite different depending on your palette choice. On the darker version, I also penciled in a yellow “sun haze” in the upper right corner, just to try out that effect.